إذا كنت تبحث عن فندق بموقع جيد في داروين، فقد وجدت ضالتك في Paravista Motel . إن موقعه الجيد الذي يبعد 4 km فقط عن مركز المدينة يساعد النزلاء على الاستمتاع بمعالم المدينة ونشاطاتها. يوفر الفندق بفضل موقعة الجيد وصولاً سهلاً إلى أهم معالم المدينة.
. يعمل Paravista Motel على ضمان إقامة مريحة لضيوفه من خلال خدماته الممتازة وحسن ضيافته. يمكن للنزلاء الاستمتاع بالميزات التالية: واي فاي مجاني في جميع الغرف, تخزين الأمتعة, واي فاي في المناطق العامة, صف السيارات, مرافق للشواء أثناء إقامتهم في هذا المكان الرائع. تنعكس أجواء Paravista Motel في غرف الضيوف.تلفزيون بشاشة مسطحة, اتصال لاسلكي بالإنترنت, اتصال لاسلكي بشبكة الإنترنت (مجاني), غرف لغير المدخنين, مكيف هواء هي بعض الميزات الموجود في العديد من الغرف. يقدم الفندق مجموعة واسعة من وسائل الراحة المتنوعة، كمثل: حمام سباحة خارجي, سبا, حديقة. إن كنت تتطلع إلى إقامة مريحة وهادئة في داروين، فستجد في Paravista Motel بيتك الثاني. Good value for money, clean, tidy, shower ran hot, can't argue with that. Location was great, enjoyed daily use of the pool. Family friendly staff. I really enjoyed my stay, short though it was. 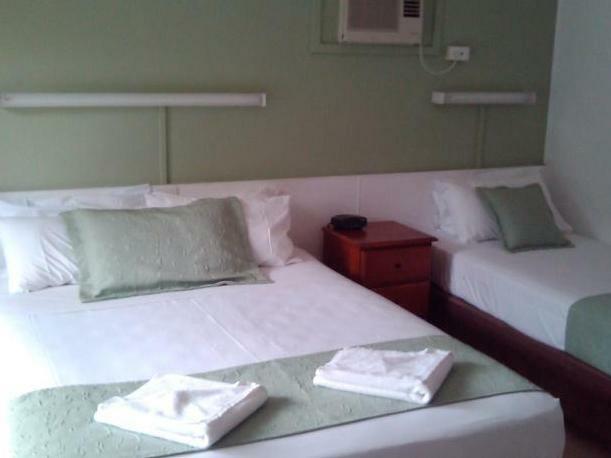 It was an older style motel but the facilities were clean, their was air con, the shower was clean, lots of wardrobe space. The staff were helpful and kind. I was without a car so I was a little way out but it was close to the buses and the taxi wasn't that expensive into town. And the cabs, they always turned up on time. Thanks so much. excellent value during the Wet Season in Darwin, plus located in a quiet location away from traffic noise. Rustic, 1970's style decor which is rare in post cyclone Tracy Darwin. Not too bad a hotel for a couple of nights, needs a major refurbishment but ok. Stayed here a couple of times for connecting flights to Indonesia. Cheap for Darwin. Older style building, but well kept. Close to airport, markets and restaurants. 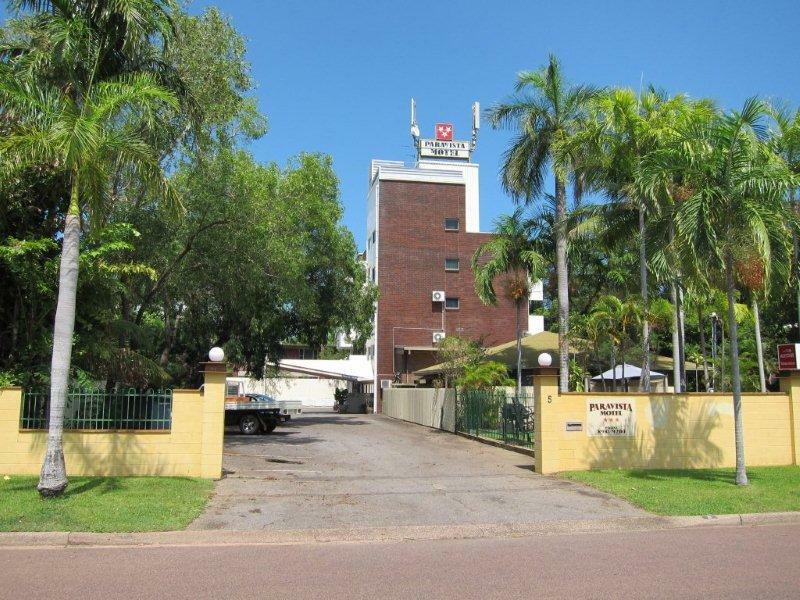 Darwin accommodation is generally quite overpriced - Paravista is the best value hotel here by far. THe hotel provided good client focused staff in reception, Within walking distance were some reasonable eateries, The hotel while centrally located is very quiet. 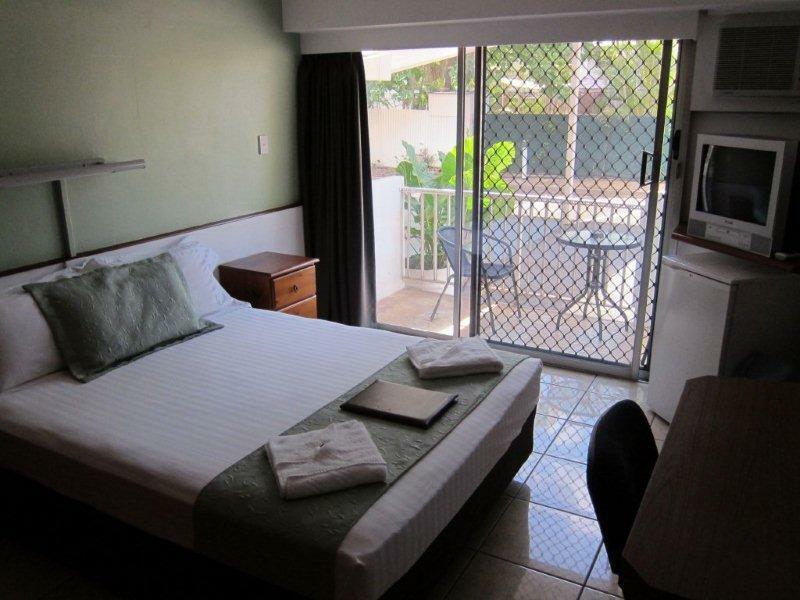 Those staying at this motel will need a car as it is not a city location but nonetheless it is only minutes away from all of Darwin's attractions. The hotel was very clean, with friendly staff. Good value for money. We enjoyed our stay at the Paravista. The rooms where very clean and our balcony had a nice green outlook. The pool area was pleasant, the staff were very friendly and it was within walking distance from a selection of restaurants and shops. In all, good value for money. In suburb, but still close to CBD. Both Mindil and Parap markets within walking distance. Beach and bay also can be reached by pleasant stroll, for watching marvellous sunset over harbour. Walk to yacht or motorboat club and relax with bottle of wine and good bar meal whilst overseeing harbour boat traffic. Hotel pool very appealing , to cool off after days activities. 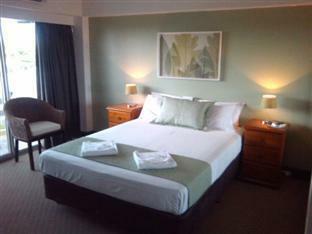 Staff very helpful, rooms basic. Balcony had garden view. Large hot shower .